Aylwards Dog School was established in 1988 by Mike Aylward following his retirement from a distinguished career spanning 22 years in the British Army training dogs and handlers for military service. Since opening the kennels in Rosewood, Mike has successfully trained dogs for army and explosives, drugs, termites, arson and body searches. 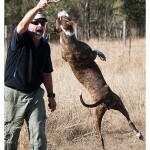 He has also successfully exported trained dogs to many parts of the world for guard and security work. Today, Aylwards Dog School provides regular Obedience Training Courses, Personal Protection training and boarding for dogs and cats year round. Aylwards Dog School Obedience training sessions are conducted every Saturday and Sunday morning. 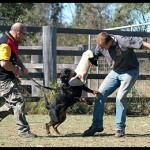 Each course is 5 weeks in duration and more information can be found on the Obedience training section of this website. 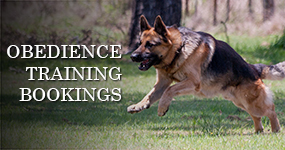 Protection training sessions are only open to dogs and handlers who have successfully completed and passed relevant testing prior to acceptance into the course. More information can be found on the Protection training section of this website. Mike and his wife Megan provide a full boarding facility for cats and dogs on a year round basis. Many clients have been boarding their cats and dogs with Aylwards for 10+ years. More information can be found on the Boarding information section of this website. Booking early for boarding is always recommended. Mike and Megan also provide specialist training services and consulting for dogs and handlers for explosives, drugs, termites, arson and body searches. If you are interested in specialist training, please contact Mike & Megan directly.